I couldn’t believe my eyes- while searching online for Angling Bookplates I inadvertently stumbled upon the entire Fearing bookplate collection- all of the originals scanned in their in their stunning glory. What makes this noteworthy is the Fearing catalog (1918) is just that: a catalog meant to accompany visitors to the exhibition which was hosted by the Grolier Club in NYC. In other words the catalog does not have any illustrations of the beautiful plates themselves, and leaves the reader with a great desire to experience the gorgeous plates. Now you can. Thanks to intrepid reference librarians at Harvard’s Houghton Modern, the entire collection is now available for viewing on a dedicated flickr site. Enjoy! 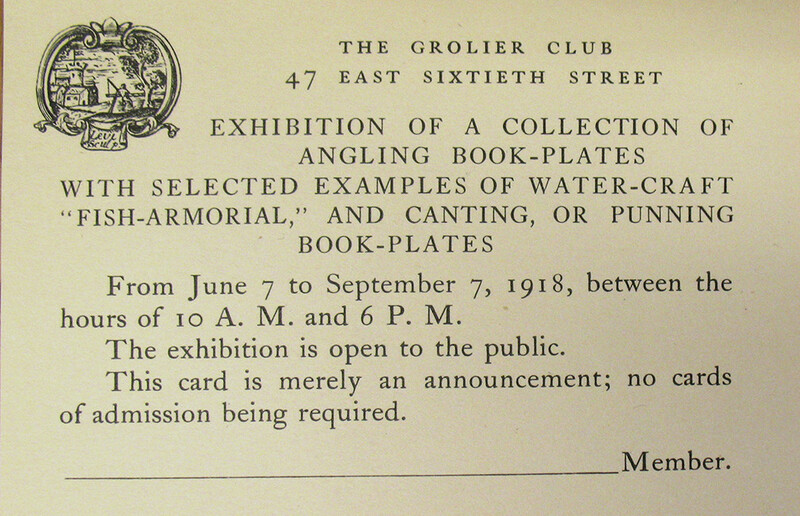 The original invitation welcoming the general public into the Grolier Club (which is the preeminent bibliophile club). 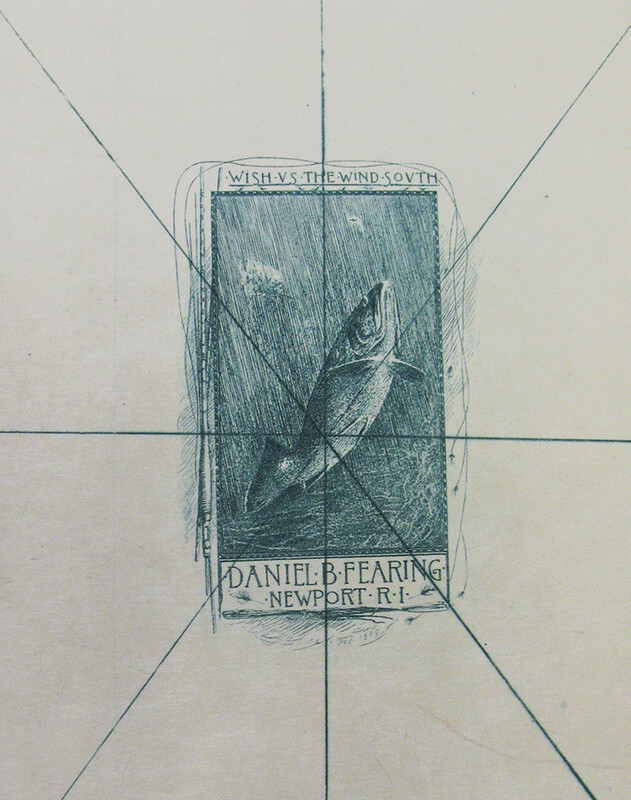 A draft of Fearing’s own angling bookplate. He had many – check them out. This entry was posted in Uncategorized by Brandon Simmons. Bookmark the permalink. Wonderful stuff, for sure. How tempting it occasionally is to slap bookplates into all of my books. Brandon, very nice. Do you collect angling books and bookplates?